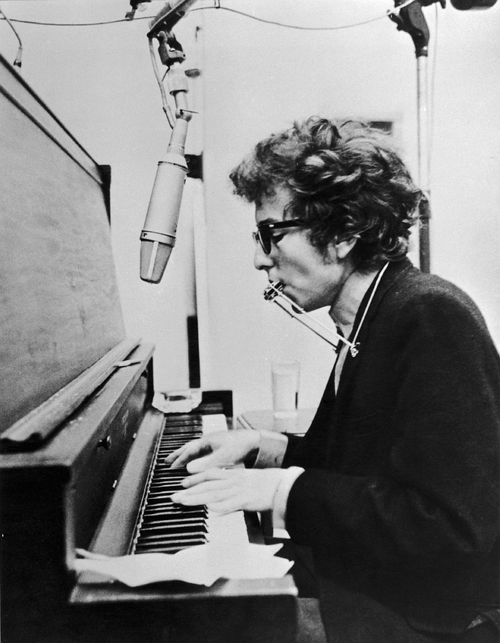 ..Dylan and Wilson held another session at Studio B the following day, this time with a full, electric band. Guitarists Al Gorgoni, Kenny Rankin, and Bruce Langhorne were recruited, as were pianist Paul Griffin, bassists Joseph Macho, Jr. and William E. Lee, and drummer Bobby Gregg. The day’s work focused on eight songs, all of which had been attempted the previous day. According to Langhorne, there was no rehearsal, “we just did first takes and I remember that, for what it was, it was amazingly intuitive and successful.” Few takes were required of each song, and after three-and-a-half hours of recording (lasting from 2:30 pm to 6:00 pm), master takes of “Love Minus Zero/No Limit,” “Subterranean Homesick Blues,” “Outlaw Blues,” “She Belongs To Me,” and “Bob Dylan’s 115th Dream” were all recorded and selected for the final album. My thoughts, my personal needs have always been expressed through my songs; you can feel them there even in ‘Mr Tambourine Man’. When I write a song, when I make a record, I don’t think about whether it’ll sell millions of copies. I only think about making it, the musical end-product, the sound, and the rhythmic effect of the words. “Love Minus Zero” seems to be one of those songs he is still proud he wrote. Ultra-keen to perform it live, he has made it an acoustic evergreenfrom this point forward, ..
On September 20, 2007, Dylan played this song live in concert for the first time during a show in Nashville. He was joined onstage for the performance by Jack White of The White Stripes. It was one of the first anti-love songs and one of Dylan’s first of many songs that describe a “witchy woman”. The song may be about fellow folk singer Joan Baez or experimental artist Nico. In a 2005 reader’s poll reported in Mojo, She Belongs to Me was listed as the #98 all time Bob Dylan song, and a similar poll of artists ranked the song #53. 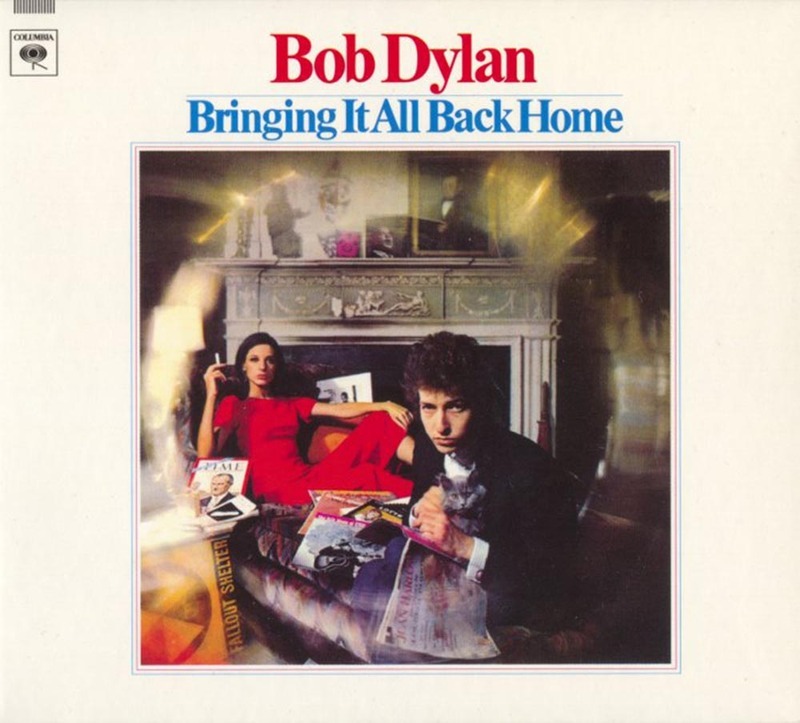 In 2002, Uncut listed it as the #14 all time Bob Dylan song. Why did you laugh at the start of Bob Dylan’s 115th Dream on your LP? I don’t remember… Well, wait a bit… Yeah… somebody entered the studio disguised, looking like my mother. Yes, that was it. I just started laughing. This was my first Dylan album. Bought it when it released. Still a fave. “She Belongs to Me” -“ant-love song” ???? 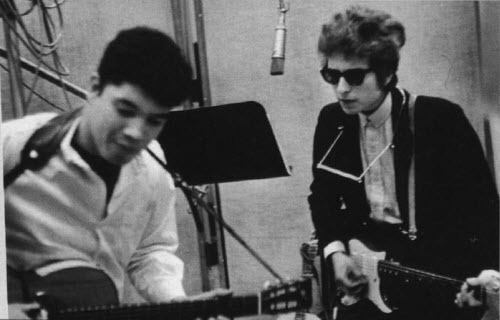 It’s possible – even likely – that the takes of Outlaw Blues were the first time Dylan played an electric guitar in the studio with the tapes rolling. 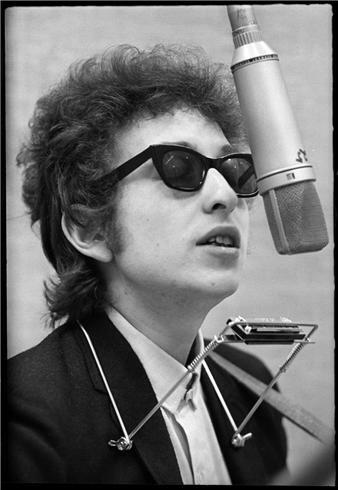 CBS had just bought Fender Musical Instruments and had shipped a selection of guitars and amplifiers to the NYC studio for people like Dylan to use. Thanks for great input Dave!